The park could be perfect for your next fishing holiday. The small crofting township of Nedd (An Nead - Gaelic for nest) is situated on the north coast of the parish of Assynt. Ancient native woods surround Nedd, which overlooks Loch Nedd, a sea loch that’s home to a wide variety of sea birds, seals and otters which appear occasionally. The famous colony of puffins at Handa Island is nearby. Nedd is an excellent base for hill walkers and climbers who are keen to explore Quinag, Suilven, Canisp, Benn Stack, Arkle, Ben More Assynt, and Foinaven. Trout and salmon fishing and stalking is available by arrangement on the many hill lochs for fishing enthusiasts. The Stoer Lighthouse, the renowned garden of Kerrachar, the caves of Assynt and the incredible geological feature of 'Moine Thrust', are all within easy reach of the holiday destination of Nedd. The small crofting township of Nedd (An Nead - Gaelic for nest) is situated on the north coast of the parish of Assynt. Ancient native woods surround Nedd, which overlooks Loch Nedd, a sea loch that’s home to a wide variety of sea birds, seals and otters which appear occasionally. The famous colony of puffins at Handa Island is nearby. Nedd is an excellent base for hill walkers and climbers who are keen to explore Quinag, Suilven, Canisp, Benn Stack, Arkle, Ben More Assynt, and Foinaven. Trout and salmon fishing and stalking is available by arrangement on the many hill lochs for fishing enthusiasts. The Stoer Lighthouse, the renowned garden of Kerrachar, the caves of Assynt and the incredible geological feature of 'Moine Thrust', are all within easy reach of the holiday destination of Nedd. Recroy offers the following facilities. Full oil fired central heating, multi-fuel stoves in sitting & dining rooms. Electric cooker, microwave, fridge/freezer, dishwasher, washing machine, tumble dryer, TV with video in play room (no reception), CD etc. Videos/books/games. Oil, electricity & starter pack for multi-fuel stoves inc. in rent. Bed linen & towels inc. in rent. Off road parking for 2 cars. Large lawned, mature garden with furniture & BBQ. One well behaved dog welcome at £15 per week. Sorry no smoking. Shops & pub/restaurant 1 mile. Note: No TV reception at this property. 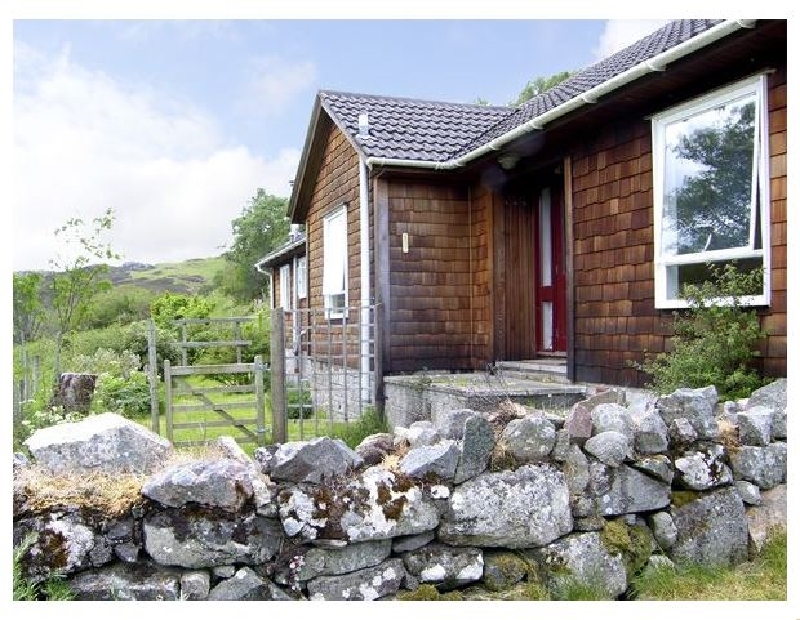 Nedd 0.2 miles.A single storey detached cottage with spectacular views nestled on a remote hillside above the tiny hamlet of Nedd, along the western shore of Loch Nedd, 2 miles south east of Drumbeg. Offering comfortable well equipped accommodation, this property is ideal for families wishing to really “get away from it all” and explore the area. There is an orchard garden, a haven for children, and a large lean-to play area means even if it rains they're well catered for. The numerous spectacular beaches along this coast make it a perfect seaside holiday base, as well as something of a birdwatcher's paradise, with the famous puffin colony and bird sanctuary on Handa Island close by. For hill walkers, 'Munro baggers' and climbers, you couldn't be better placed for exploring Quinag, Suilven, Canisp, Ben More Assynt, Benn Stack, Arkle and Foinaven. With salmon and trout fishing available by arrangement, this property has something to please the whole family. All ground floor. Two bedrooms: 1 x double, 1 x family room with adult bunks & single bed. Bathroom with bath, shower over, basin & WC. Shower room with shower, basin & WC. Well equipped fitted kitchen. Dining room with multi-fuel stove. Sitting room with multi-fuel stove. Second sitting room. Large lean-to play area. Have you been to Recroy? Please submit your review so that others can benefit from your experience. Important note: Information provided here about Recroy is based on our best knowledge. However, please check with Recroy before booking to ensure that you have the information required. Reviews are the sole views of the contributor and do not necessarily represent the views of CampsitesandCaravanParks.com or Recroy.